The local A Bob's Towing serves you within 30 minute response time in most areas of Philadelphia. The closer the cheaper. Call us now! 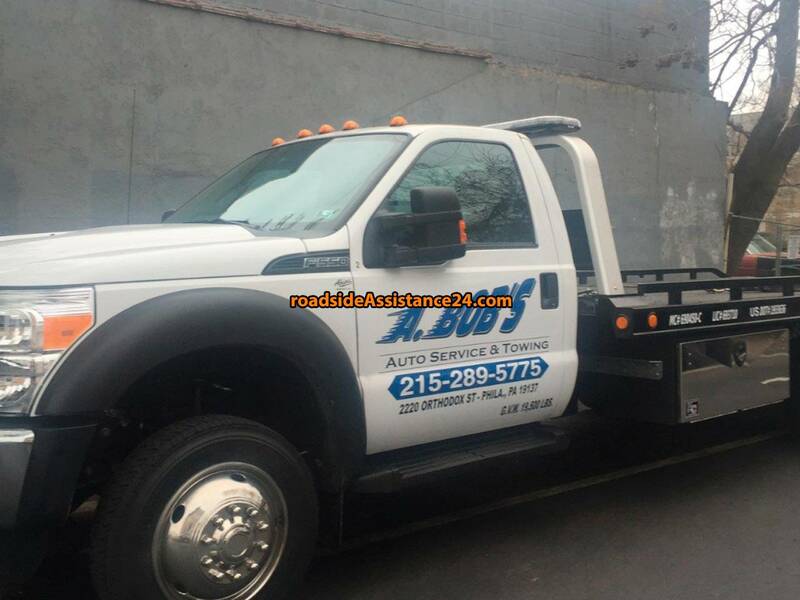 A Bob's Towing was started back in 1994 and is the best towing company to call in the Philadelphia area. Our company takes pride in our rapid roadside assistance. We are here to help you with all of your towing needs, 365 days a year, 24 hours a day, 7 days a week. Your review helps to choose cheap towing and roadside assistance services near Philadelphia. Click an icon on the map and get a phone number of the closest wrecker service near Philadelphia! Install mobile application Roadside Assistance 24 and get the phone numbers of the closest towing and roadside assistance services near Philadelphia.